We have a long standing tradition of supporting the Western Service Workers Association and we encourage you to attend their annual fundraising dinner. The music, entertainment and speakers are always impressive. If you can’t attend please consider making a donation. 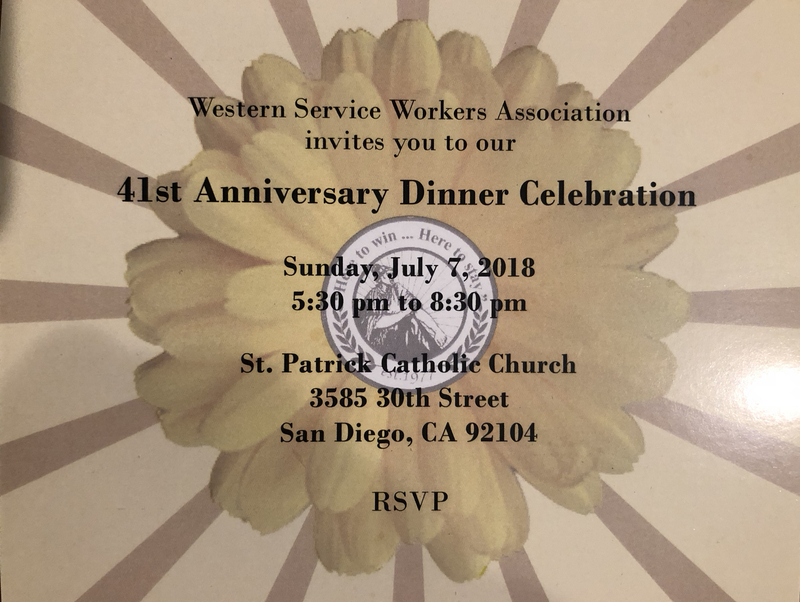 You are cordially invited to join the WSWA’s membership of service workers and other low-income workers in celebrating 41 years of determined struggle and victories in building a winning strategy for labor. This evening includes dinner, live entertainment and speakers.